Have the players partner up and designate a partner “1” and a partner “2” for each pair. All 1’s will go to the center of the gym, face the center, and cover their eyes. Have all 2’s start next to their partner 1. At the coach’s command “Move with..”, partner 2’s will move away from 1’s by moving with the movement the coach chooses from the selection below. On the command, “Find your partners!” partner 1’s open their eyes, move as their partner was commanded, and locate and gently tag their partner. 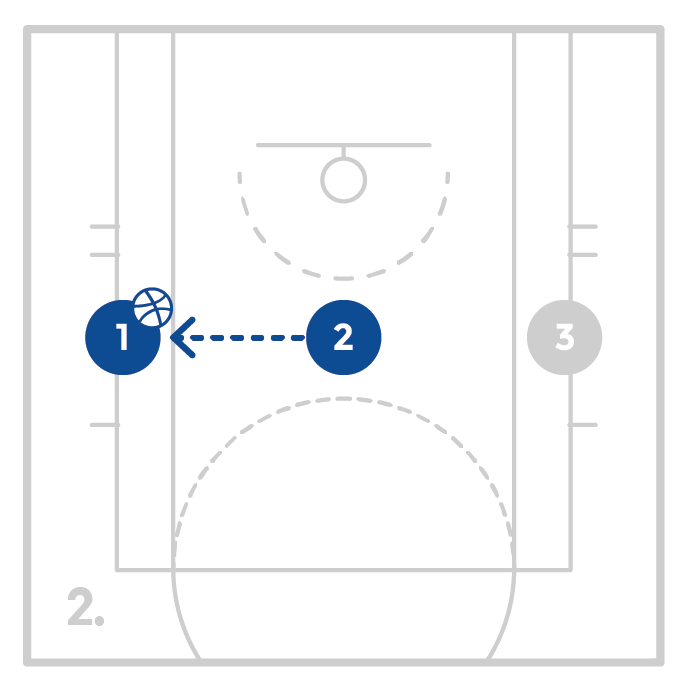 Once tagged both partners must go back to the center of the court, where they will switch roles and repeat. Movement Options: Hopping on 1 foot, hopping on 2 feet, skipping, lateral slide, running, running sideways, running backwards. This is a great game to help the players actively warm-up. Players should only run if commanded to run. Make sure that both partners use the movement that coach commands. Have each player get 2 balls or share and find space on the sideline. The players will bend their knees, keep their eyes and chest up and dribble both balls at the same time. Encourage the players to dribble quick and firm and make sure they are pushing the ball down with their off hand just as strong as their dominant hand. 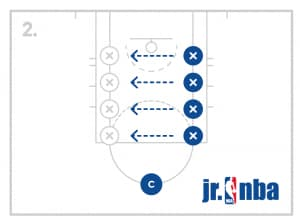 If the players are able, move them to low, middle or high dribbles. Work on coordination and ball control. Look for any weaknesses in either hand and encourage the players through the drill. The players will bend their knees, keep their eyes and chest up and dribble both balls by alternating which ball is in their hand and which is bouncing. 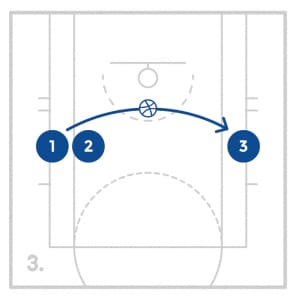 A pass fake is used to make the defense believe the offensive player will pass the ball, which ultimately leads to an advantage for the offensive player. Pass fakes can help a player drive, shoot or make a different pass. A good pass fake includes the body and the eyes. Have the players start with a ball and line up on the court. Have the players spin the ball to themselves from the side. 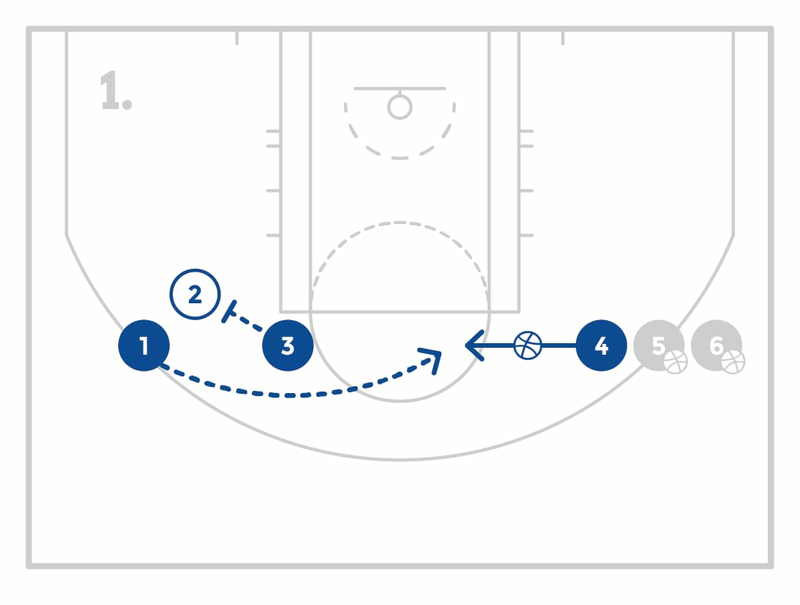 When they catch the ball from the side, have the give a quick reverse pass fake at chest level and repeat. Also change sides and add pivots if appropriate. Pass fakes should be quick and include the ball moving and the eyes moving. Have the players start at the top of the key with a ball (or a few balls for the line). Have the players pass the coach or a player the ball on the wing. 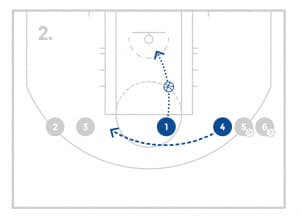 The player or coach will catch the ball and throw it right back to the player who will then pass fake in the opposite direction and then drive for a lay-up. 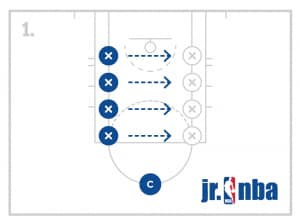 Utilize multiple lines to help the drill keep moving. Make quick pass fakes with the ball and the eyes before driving. A shot fake is used to make the defense believe the offense will shoot the ball. The goal is to get the defensive player out of position by either jumping or raising up which creates an opportunity for the offensive player to go by them. Shot fakes can help a player drive, shoot or make a play for their teammates. A good shot fake should look exactly like the beginning of the players normal shot. It is important to sit low during the shot fake so that the player can move explosively after the fake. Have the players start on the baseline with a ball. The players will spin the ball to themselves and catch the ball, shot fake and take one dribble forward with their right hand. 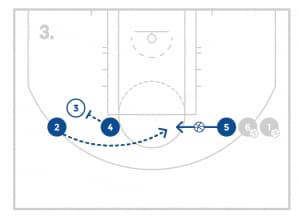 The players will repeat this all the way to half court. On the way back, have the players now dribble forward with their left hand. Coach the players as they go. Stay low and show the ball like a normal shot. Make sure the players don’t rush the shot fake. Have the players divide into 3 groups. Each group will have a line under the basket with 2 balls, and a line on the perimeter without a ball. The group on the baseline will pass the ball and run towards the player with the ball. The player who catches the ball will shot fake by sitting low and bringing the ball and eyes up on the rim. The shooter will stay low so they explode out of the shot fake for a good 1 dribble pull-up jump shot. 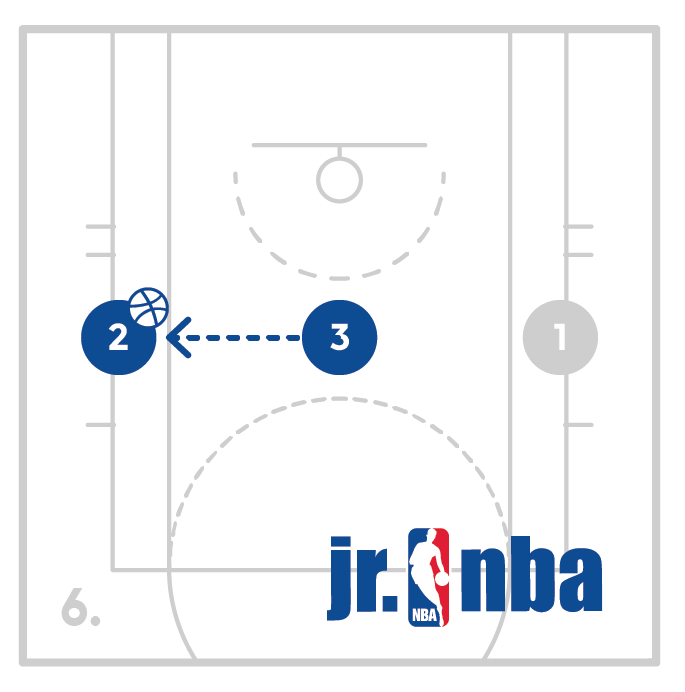 The shooter will rebound and give the ball to another player in their line under the basket. The players will switch lines and the drill will continue. Once the players are making the move well, compete with the other lines. 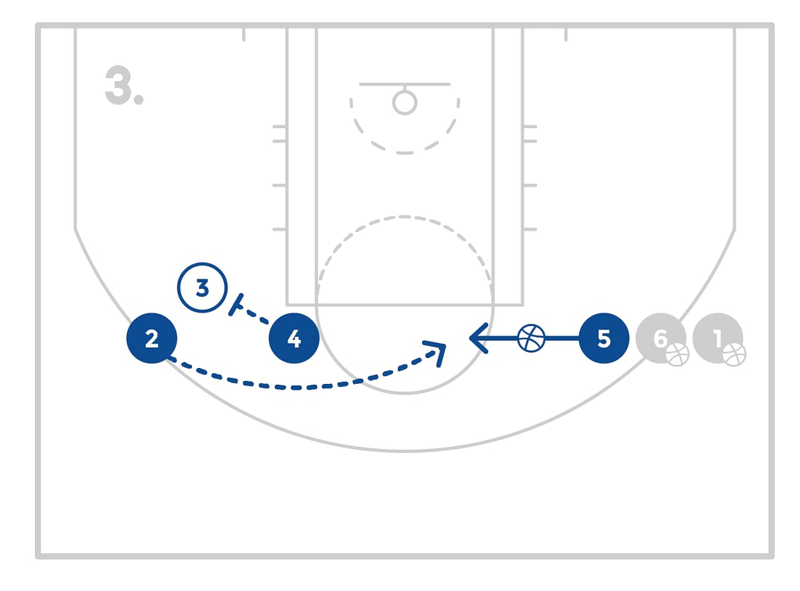 Have the players get in 3 lines around the paint. Have the first player step into the paint as if they’re a defensive player facing the next person in line. The defensive players will assume that the ball is where the coach is and play defense accordingly. When coach simulates a shot or says “shot!” the players will say “shot!” and box out the player standing in front of them and then go and jump as high as they can at the basket. The player will rotate to the back of the line and the player who was next in line will now become the defense. The drill will repeat for the allotted time. Make sure the players are calling the shot, getting a good box out and are attacking the basket for the imaginary rebound. Setting a screen is something that an offensive player does to try to help their teammate get open. 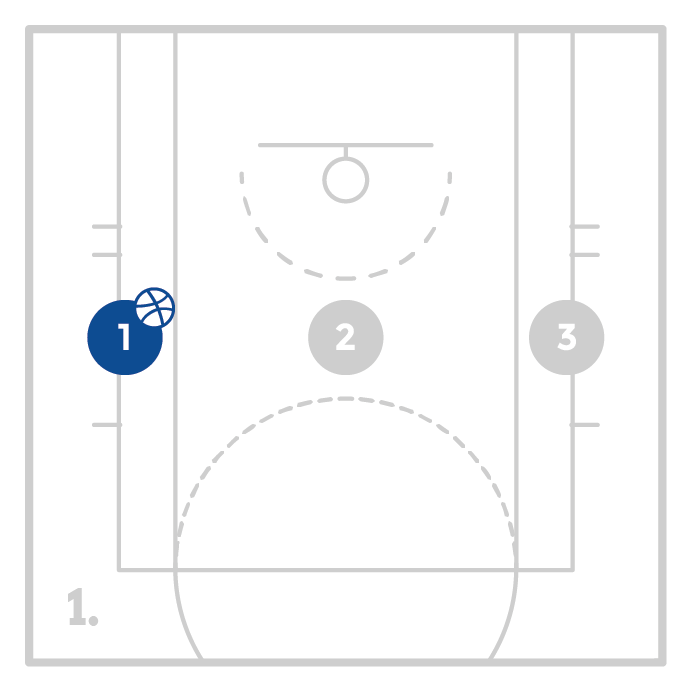 Screens can be set for players with the ball, or players without the ball. 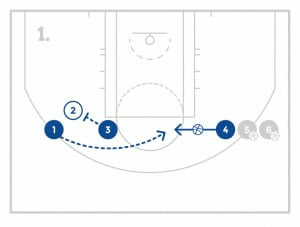 In order to set a screen correctly, a player must go to the point in which they want to set the screen and stop moving. The screener will then bend their knees and have a nice wide base with their feet wide, and put their arms either crossed in front of their chest or between their legs. 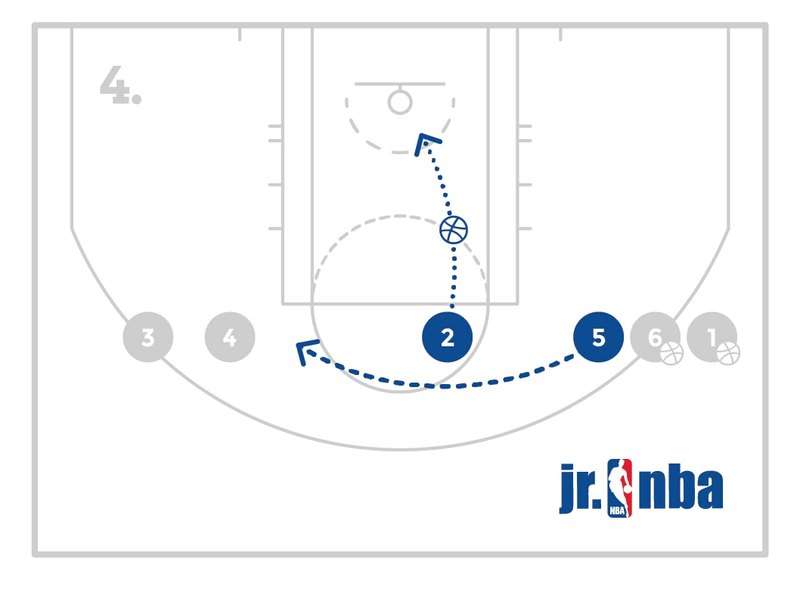 After their teammate comes off the screen, the screener can move again to get open for the ball.